No one expected that the legendary Nokia 3310 that was launched in the year 2000 will be returning to the smartphone market in 2017 but that's is just it. Anyway, a lot has been said about the newly revived Nokia 3310 and most of the Internet outlets thought it will run Android OS but that's not the case as it will remain a feature phone. ✔️ The new Nokia 3310 will remain a feature phone, and not a smartphone. ✔️ Same Design:The design of the phone will not look much different from back when it was released in year 2000. The only changes will be in the weight and thickness. ✔️ The physical key position will remain the same but the key size will be adjusted. ✔️ Will launch a multi-color fuselage style , including red, green and yellow and so on. ✔️ Larger Color Display: The screen will become larger and will be upgraded to a color screen . 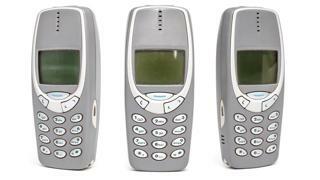 No word yet on the price of the new 3310. We will let you know once it's available. Nice post bro Wizy, i love this post for fact that the new nokia 3310 will remain a feature phone, and not a smartphone. wow funny @Nokia can't wait to see dis phone gana mek use of it cos i didn't use it bah den!